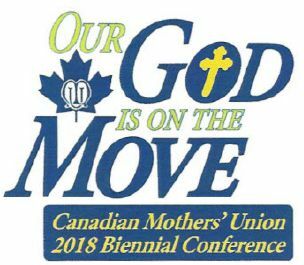 The Canadian Mothers' Union Biennial Conference was held at the Villa Madonna Retreat House in Rothesay, NB on November 16-18,2018. Neither snow, nor ice pellets, nor freezing rain could keep all of the registered participants away! Some of us arrived a day early to get ahead of the storm and others arrived a day later in its aftermath. The snow on the tree branches on Saturday morning created a picture of a glistening winter wonderland. The grounds at the Villa Madonna are truly majestic in every season and it was the perfect venue for this gathering. Our conference program on Friday evening was a moving presentation by VP Shara Golden on the topic of gender-based violence, both around the world and here in Canada. The stories and statistics she shared with us were both disturbing and haunting. UN Women reports that 4.5 million people worldwide are victims of forced sexual exploitation and that 98% of these are women. More than 700 million women alive in the world today were married as children. The organization USAID states that 60 million girls are sexually assaulted at or on their way to school each year. According to the Family Violence Prevention Fund, growing up in a violent home may be a terrifying and traumatic experience that can affect every aspect of a child's life, growth and development; the result may be post-traumatic stress disorder which may include bed-wetting or ongoing nightmares. Women who experience physical abuse as children are at a much greater risk of victimization as adults and men in this situation have a far greater (Zx+) likelihood of perpetrating abuse themselves. The United Nations 16 Days of Activism Against Gender-Based Violence is an international campaign that takes place each year from November 25 (International Day for the Elimination of Violence Against Women) until December 10 (International Human Rights Day). Throughout the campaign, Mothers' Union members join with others globally to raise awareness of, and to advocate for an end to, gender-based violence in all forms and in all societies. At the conclusion of Shara's presentation, members were asked to write a prayer on a small note to attach to the Prayer Tree in the Chapel that was aglow with white mini-lights. 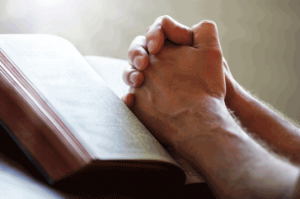 Bishop David Edwards then led us in the service of Compline and we were all very pleased that he could join us. On Saturday morning, President Alice Kennedy got the business meeting underway with a firm smack of the gavel. After efficiently dealing with the items on the agenda, we divided into four small groups to discuss the assigned topics which concerned our Newsletter, Website, and inclusion of Lone Members. Our Saturday afternoon program featured two presentations. One speaker was the Venerable Sarah Usher from Whitehorse, Yukon, who is the co-ordinator of the Northern Clergy Familes Fund. She spoke of life in the north, which included the hardships of the cold, the expense of goods from the south, and the loneliness that someone who counsels others must endure. She explained the mandate of the Council of the North and the many challenges it faces. 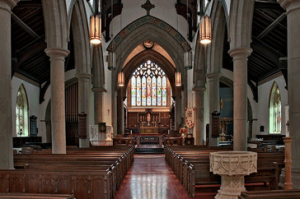 She told us that closing churches was not a viable option for the north, as so much of the work that clergy does is outside church walls and is the result of trusting community relationships. She also shared many humorous stories of everyday life growing up in Teslin and her love for that community where she and her husband plan to retire. Our second presenter was Shawn Branch, Parish Development Officer for the Diocese of Fredericton, who spoke to us about Christian leadership both inside and outside the Church community. His interactive delivery of valuable tips and observations was conveyed with great talent and wit and gave us all food for thought. 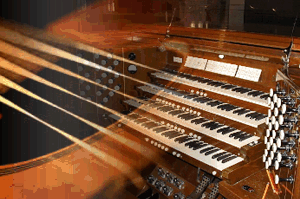 A Silent Auction was held on Saturday evening, which was a fundraiser for the Mothers' Union Travel Fund. This was followed by a rousing game of Mothers' Union Jeopardy. With a bag of prizes on the line for the winning team, the competitive spirit of the four teams was out in full force and the game was a big hit. message with the wider world. This supported our conference theme which was "Our God is on the Move." The offering at our closing service was in support of the Northern Clergy Families Fund. 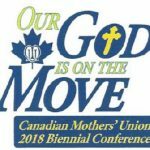 Our next gathering for Canadian Mothers' Union members Canada-wide will be our National Conference which is slated to be held in Fredericton, NB in the spring of 2020.